The Lady Red Ravens fell to Labette County last night at 44 - 37. 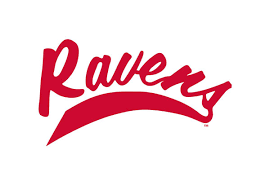 The Lady Ravens, who have struggled to generate any offense this season only put up 16 points through the first 3 quarters shooting 22 % from the floor, 14% from 3 point range and adding to their woes committed 20 turnovers. The loss drops the Lady Ravens to 0-4 on the season while Labette County improves to 3 - 3. The Lady Ravens won't have much turn around time as they hit the road tonight to take on rivals NEO in a double header with the Men's team. The Lady Ravens fell to the Lady Norse at home last week. The Ladies tip off at 5:30 this evening in a game that will be broadcast live on KUSN 98.1FM. Tonight's second game will feature the CCC Mens team taking on NEO. The Men defeated NEO in last week's game 76 - 59. The Ravens who are 4 - 0 on the season and ranked #4 in the nation tip off at 7:30 against the Norsemen who come in to tonight's contest with a 2 - 3 mark. Ravens Coach Jay Herkelman says tonight will be a good test for the Ravens on the road and in a hostile enviornment.